Looking back, there have been places where you have travelled and had the most sublime feeling towards the place and wished you’re with the special person right at that very moment. 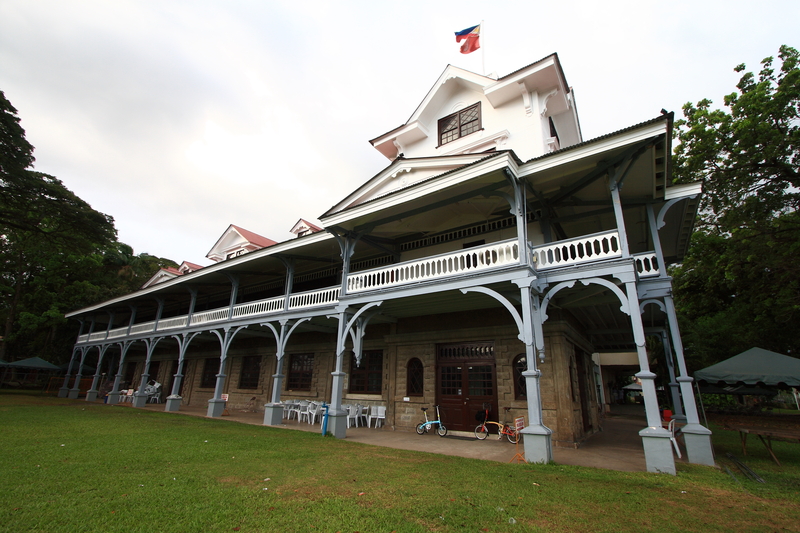 A few years ago I had the chance to visit Dumaguete in our attempt to climb Mt. Talinis but begged off as there were insurgency happening around the mountainside. As how the world of luck and chance worked around me, I had the moment to experience how wonderful this laid back town was. True enough, the city of gentle people worked its charm on me. For the next few days I walked their streets, tasted their food and had pleasant chats with locals. When I had the opportunity to go back to this wonderful place, it was just in time for me and my dearest Bernice to celebrate our anniversary. 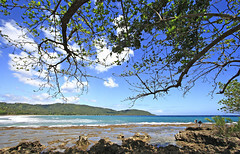 The easiest way to travel from Manila to Dumaguete is by plane, through cebupacific(cebupacificair.com) They have daily flights plying to and fro this magnificent place. 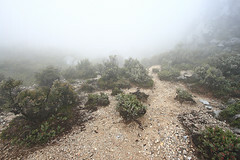 We, on the other hand, had a bit of an adventure getting there. Since there were no direct flight from Davao to Dumaguete, I had to book a flight to Cebu and travel by bus via Ceres liner to Dumaguete. There are also fast crafts cutting through the Visayan seas from Cebu to Dumaguete, but they only have limited travel schedule. So we opted for the bus since they have an hourly travel interval, which works for our pressed itinerary. 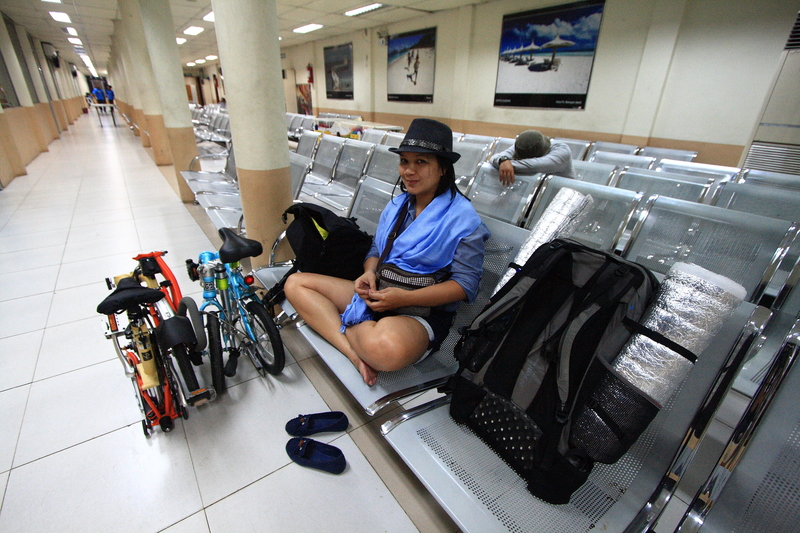 This Southern Visayas odyssey of multi-modal adventure was quite special for me as I will be meeting my travel buddy and partner in crime, Bernice, in Cebu International Airport. 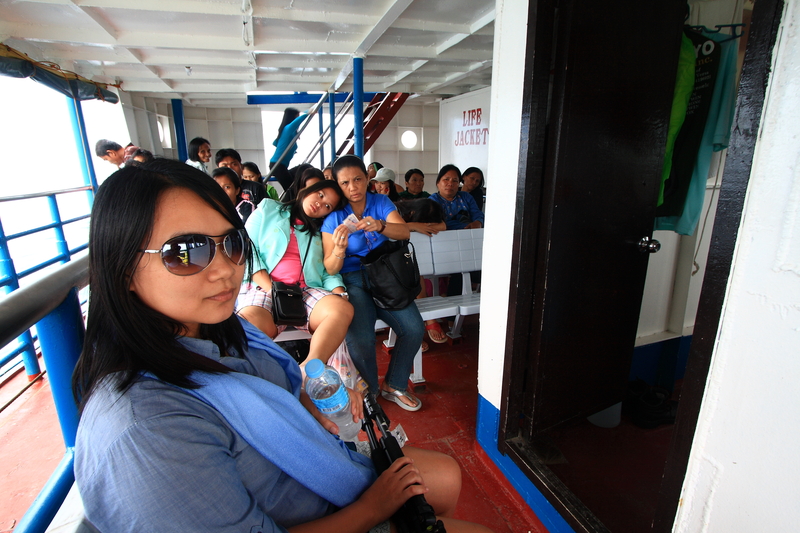 Cebu was our meeting point and we briefly passed through its towns towards Dumaguete. 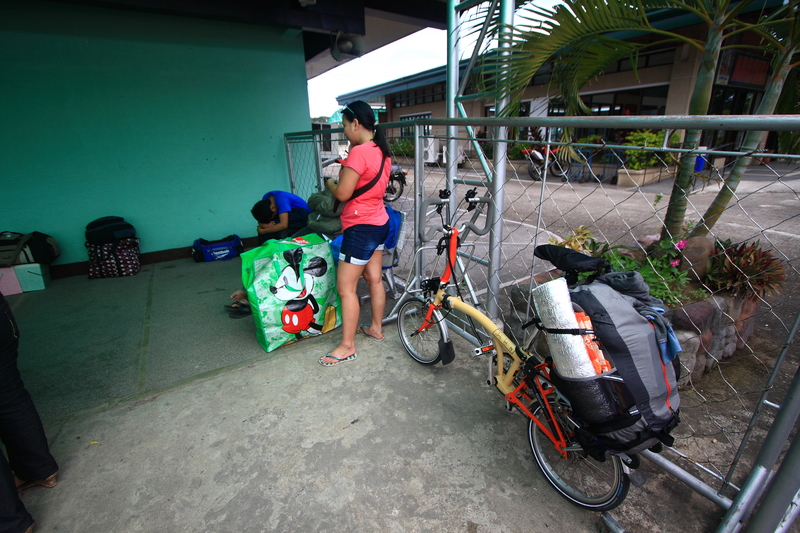 Bernice came from Manila while I travelled from Davao, both eager to get away and start our micro Visayan cycle tour on our little fold up bicycles. 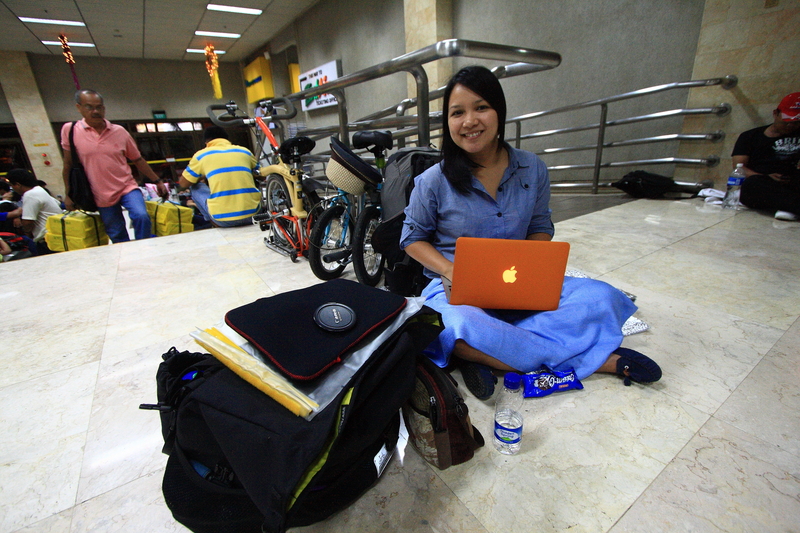 In the late Sunday night of January we arrived in Cebu, we were all set for the week-long journey to Negros Islands and beyond. 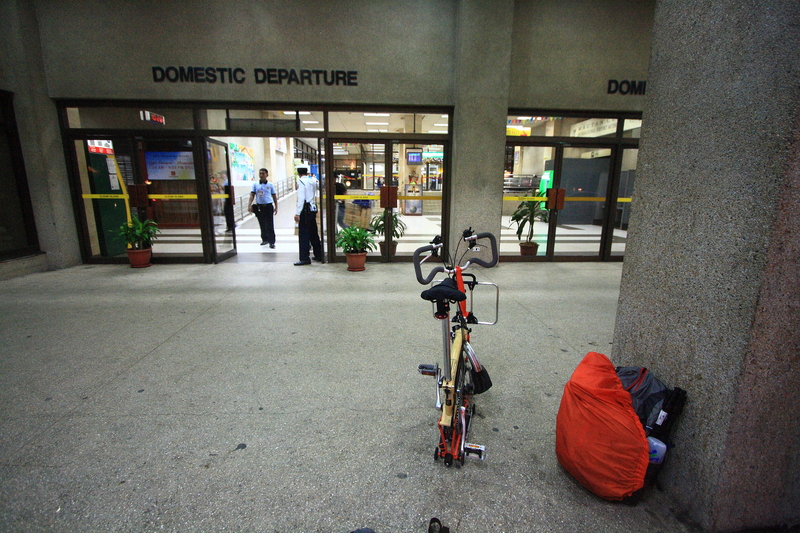 Going through our bike stuff, pumping air into our tires and finally getting settled in, we have decided to stay at the airport till early morning until we know it’s safe to get out and ride. 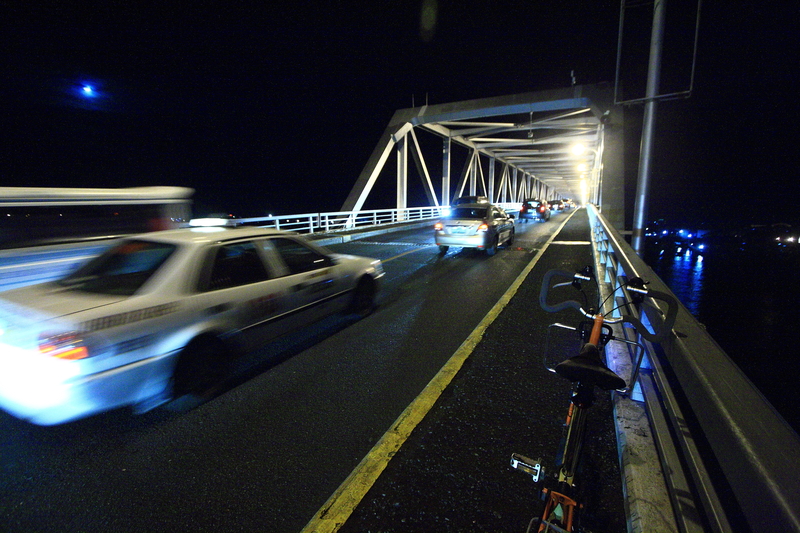 We thought it would be insane to travel by midnight on full loaded bikes and to a place not quite familiar to us. 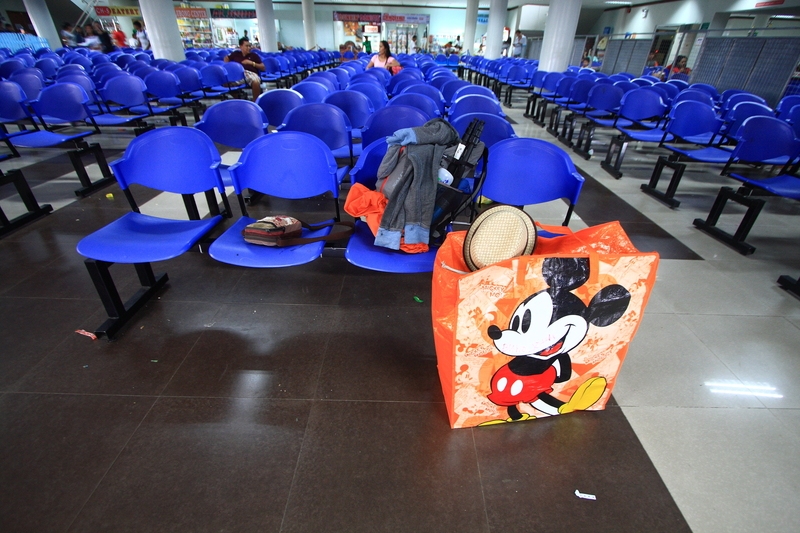 The first trip from Cebu to Sipalay at Cebu South Bus Terminal leaves at around 4:30am, we arrived at the terminal a little bit early so we had time for our light breakfast. 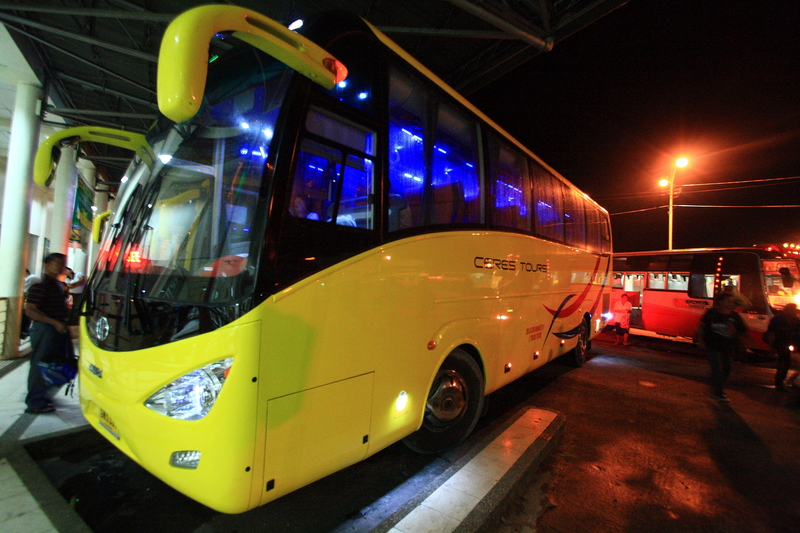 We were in luck to catch the new fleet of King Long buses from Ceres Liner, I should be expecting a smooth and comfortable journey with this brand new ride. 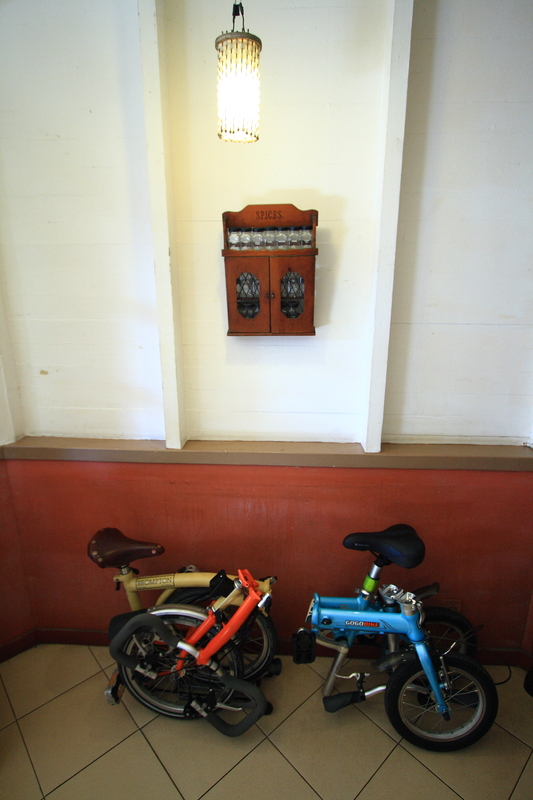 We bought 2 tickets@200php each, bound for Dumaguete and paid extra to have our bikes sitting at one of the chairs beside us. 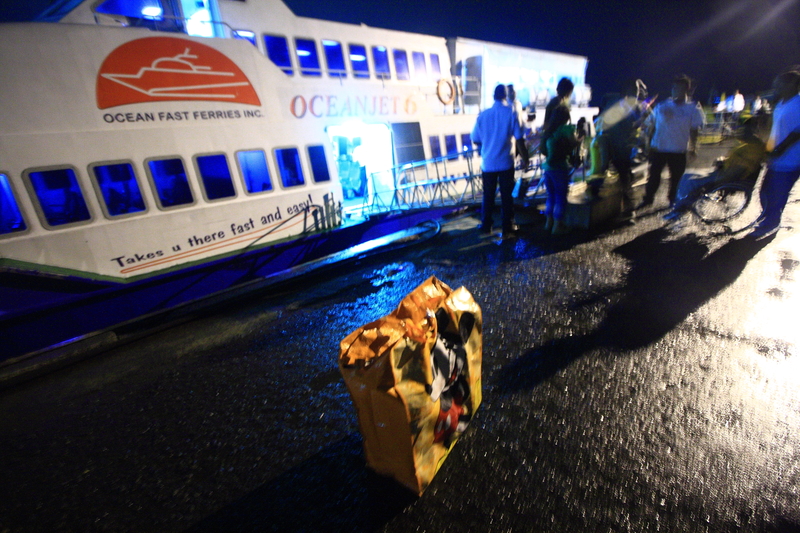 Normally we load bikes underneath the bus but this was an exception, we were not quite confident on how they deal with cargos underneath the bus and since it is our first time to travel on these liners, we were a bit cautious. 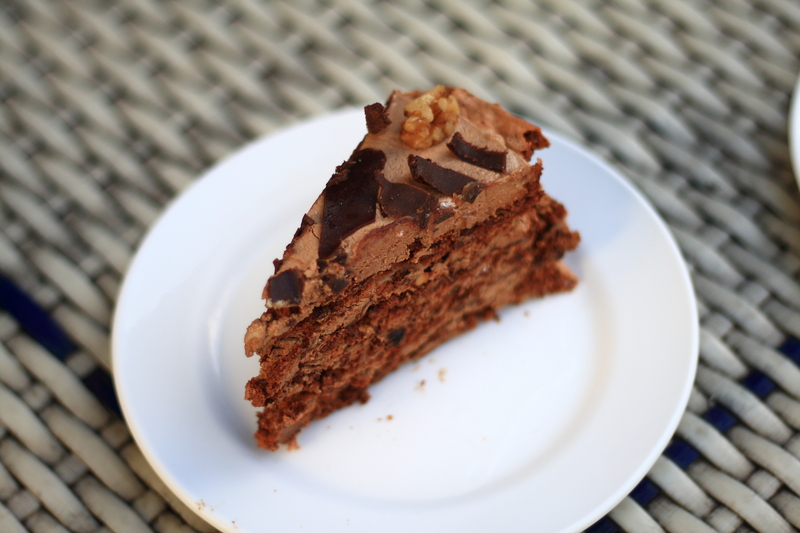 However, as I have observed, it turned out ok. It is quite safe to leave your bikes in the cargo bin albeit they charge you extra depending on the weight of your cargo. 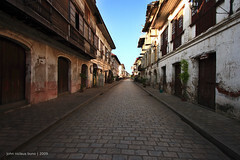 Going through the coastal towns of Cebu towards Santander was quite scenic. I sat back and gaped outside my window, the easy driving through this zig and zag of coastal road can emulate a swing and sway of a beach hammock. 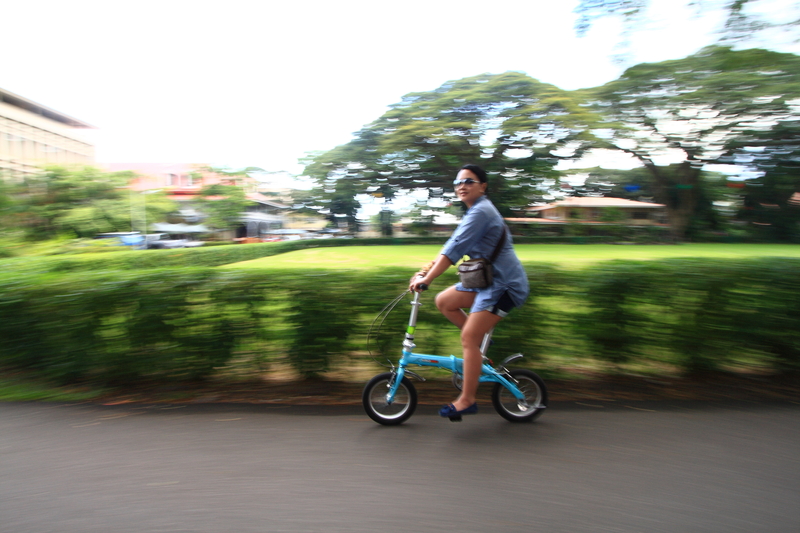 I imagine riding my Brompton over the smooth tarmac and enjoying the cool breeze of sea air while the sun setting in at the background and immediately an abrupt halt, I realized I was daydreaming again. I slightly turned to check on my shoulder to see what is outside the window, slowly becoming fully aware that we are near our destination. 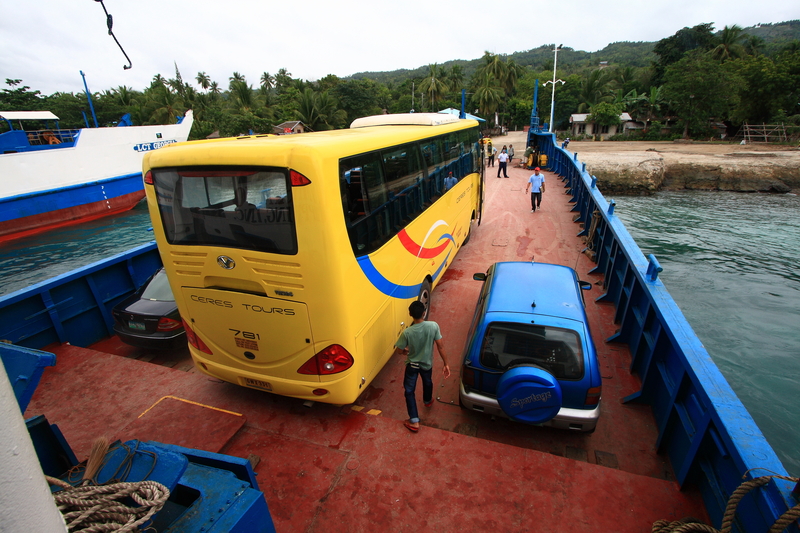 The 5-hour long trip from Cebu to the port of Santander was taking its toll on me, then I finally heard the sound of the of the hydraulic door hissing as it opens while the bus pull over on the curb. I can see the Negros Island from a distance, only an hour by ferry lift from the tip of Cebu Island to our final destination. 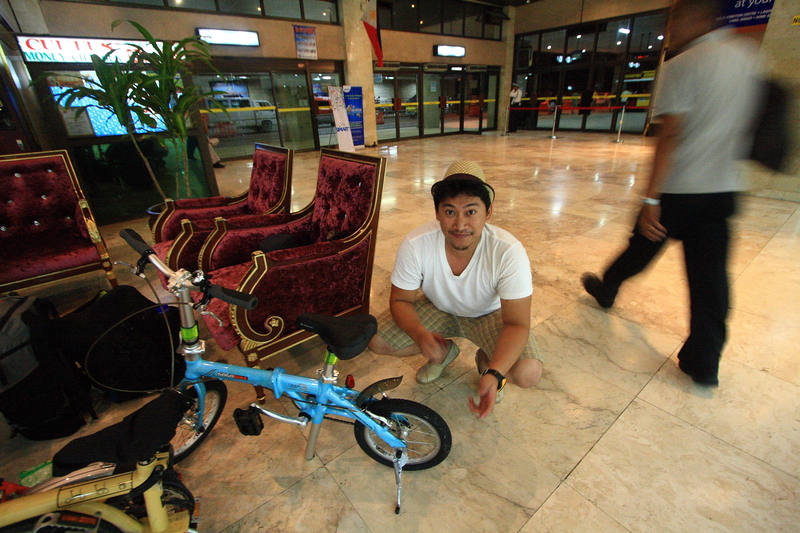 I went out the bus and stretched out my legs from a pleasant ride from Cebu. Minutes after, the driver called out to board the ferry and off we go. The crossing was pretty quick. It only took us about 20 minutes to cross Tanon strait and after a nice nap, we were already back on the road enroute to Dumaguete. An hour passed and we were already seeing the coastal road of Dumaguete and passing through the junction going to the twin lakes. A week before, the place was struck by a disaster–a flood had a rampage and came sweeping through shanties beside the river. 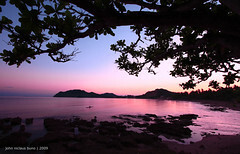 The aftermath of the Sendong typhoon was still visible on these parts. Going further, we can see the airport and the municipal hospital. 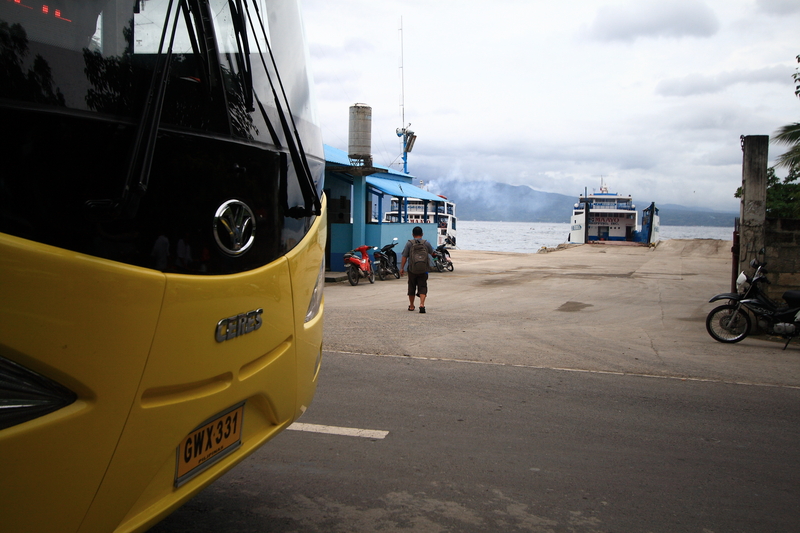 Finally, we are now in Dumaguete. 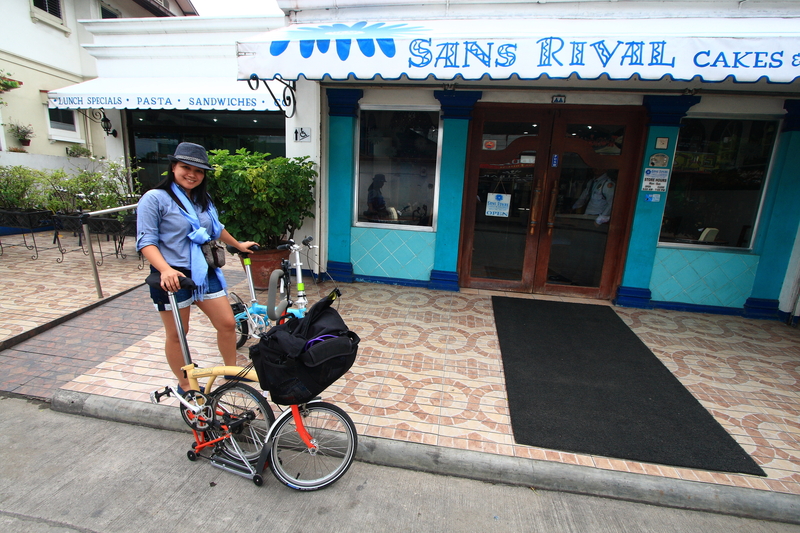 The long trip had made us very hungry and the first place we looked for food was at Sans Rival. 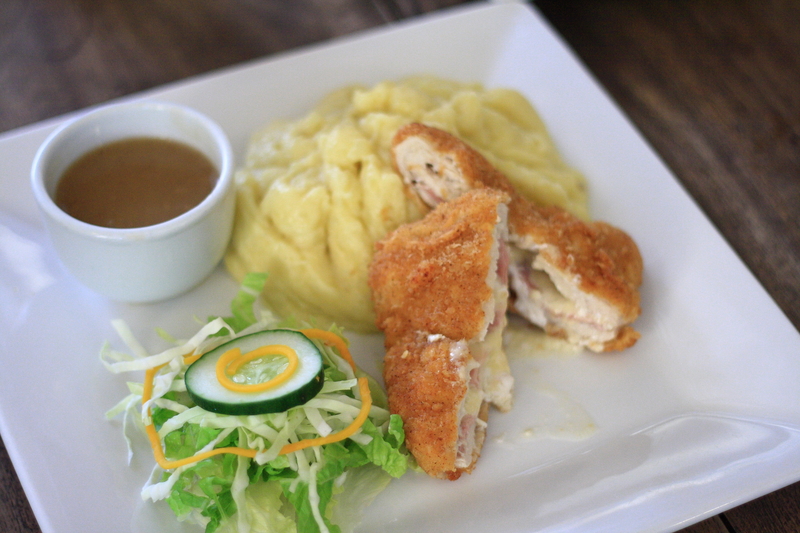 We ordered fish steak and Salad followed by a delectable Sans Rival as our dessert. 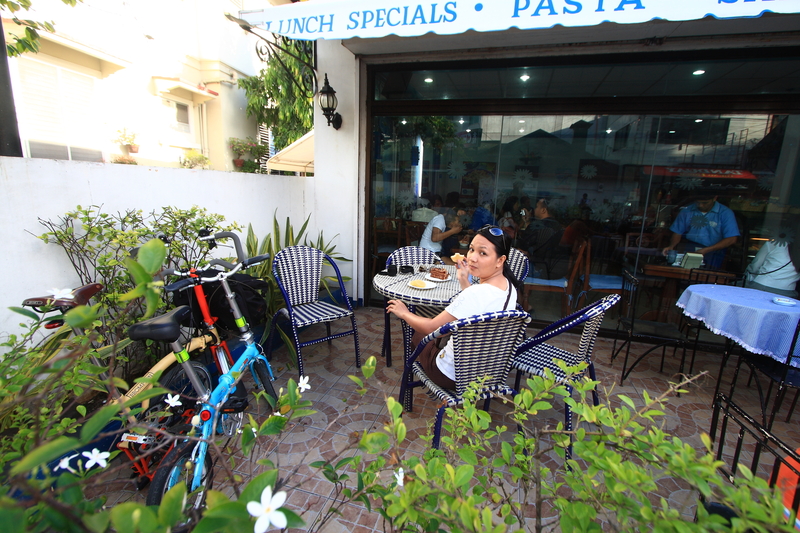 The place was very accommodating with folding bikes and we were delighted to stay and eat at the restaurant. First order of things after our sumptuous meal at Sans Rival, was to look for a place to stay. 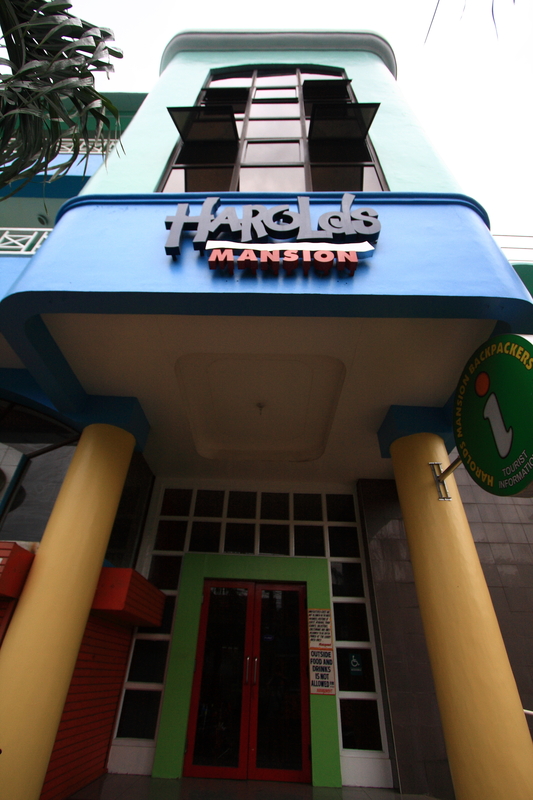 I remember a friend suggested Harold’s Mansion to be our home for the next few days. 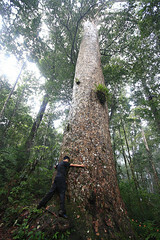 We have decided onset on our journey that we will be spending less on accommodation and more on food. I guess, at this point, it would be more logical to feast like a king and sleep like a pauper, wouldn’t you? 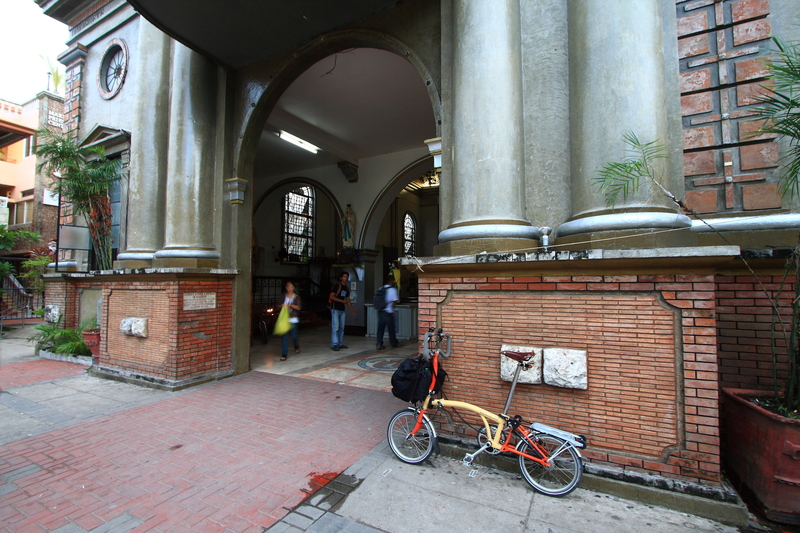 Be that as it may, our whole idea of folding bike travel was more oriented on sights, taste, smell and not snore. 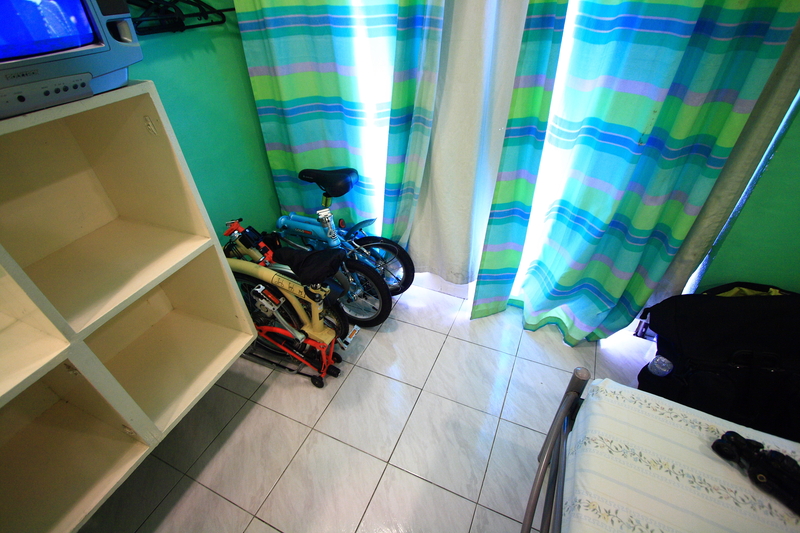 Unfortunately, the cheapest room was all occupied and so we settled in for 800 php twin bedroom and a bath. 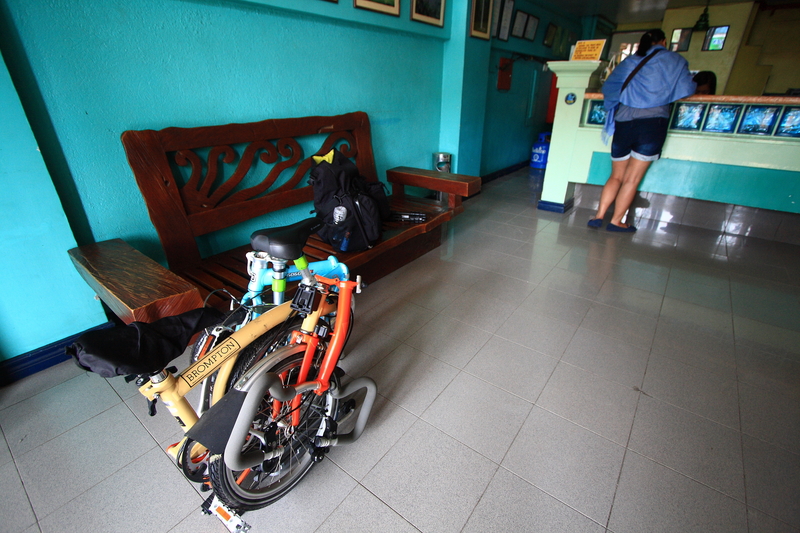 Getting all settled in, we left our things and biked around Siliman University and all over Dumaguete’s bike friendly streets. 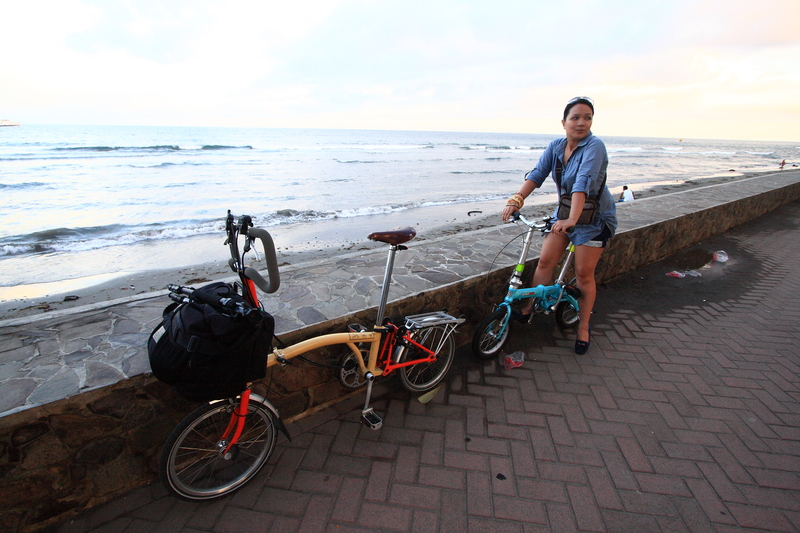 As we ride on, there were funny looks from locals and the occasional remark to our little bikes, but it was all good. 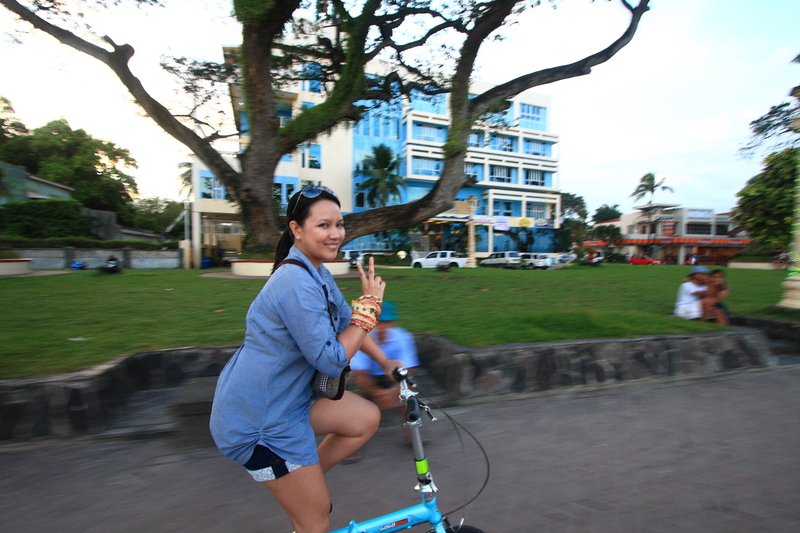 Noticeably the streets of Dumaguete is swarmed with motorbikes and it took us a while to ride along with these fast 2-wheeled contraption. Road courtesy is visible on the streets and we get all the smiles when passing through motorist, probably because a full grown man is riding this tiny kiddie bike. 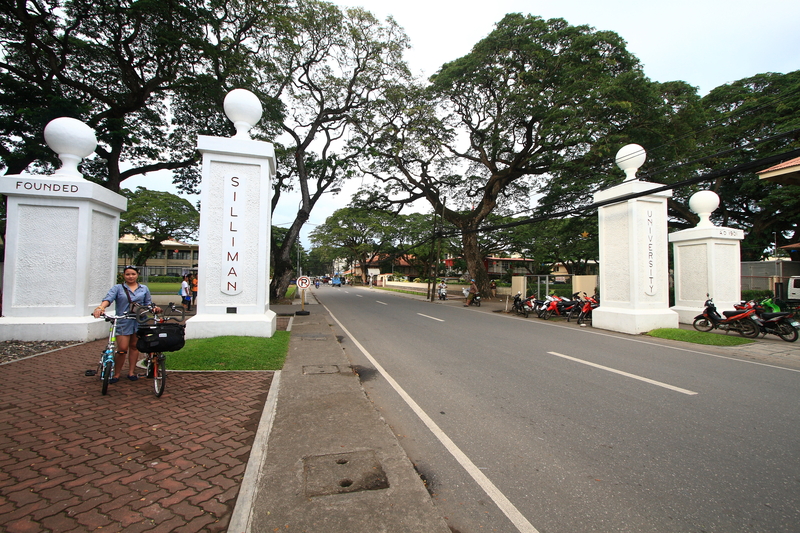 The Campus of Siliman was much like a Southern Visayas version of U.P. 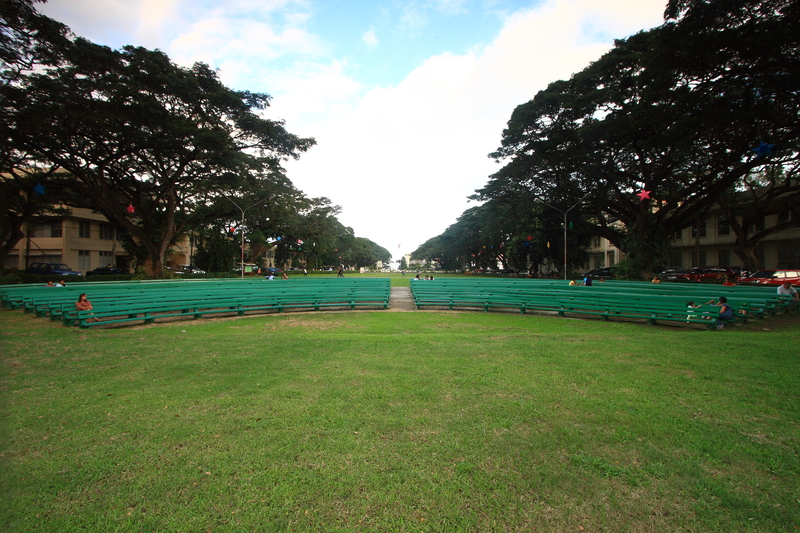 Diliman there were old trees lined up along the field providing canopy to students studying in benches. 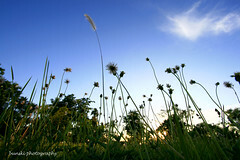 There was a wide expanse of green grassland all occupied for weekend picnics or a game of football. The anthropology museum was closed during our visit so we just had our posterity photo by its doorway. 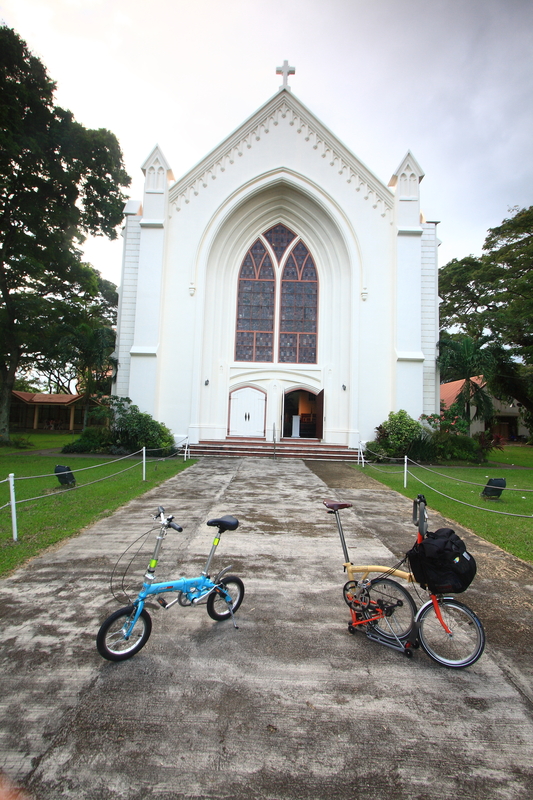 Riding along the streets of Dumaguete, we visited the town’s cathedral and its campanario. 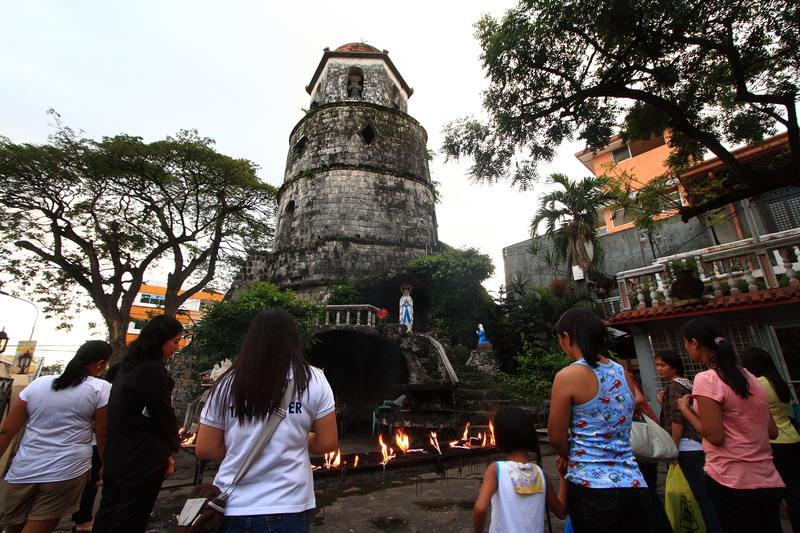 The Campanario de Dumaguete was one of the four watchtowers built doing the 1700 to fend off moros from raiding the peaceful town. At present time, locals light up candles near the landmark and offer prayers for their loved ones. 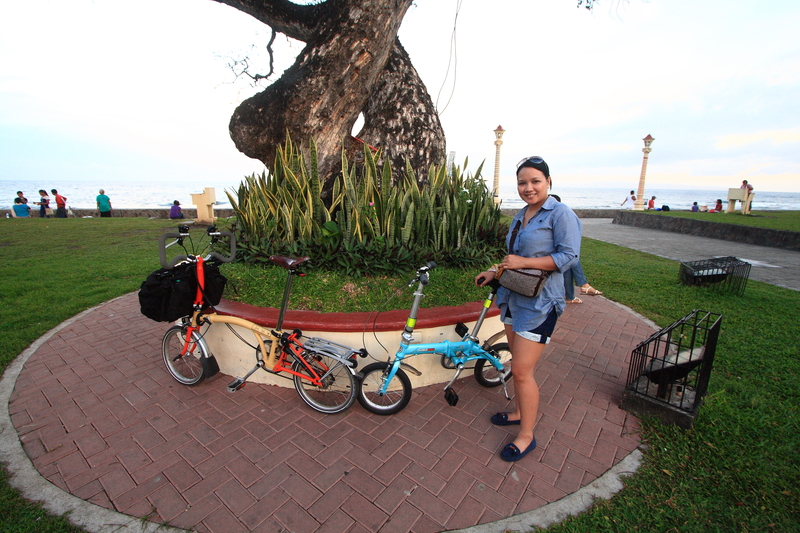 When visiting Dumaguete, you haven’t fully experienced the place if you haven’t gone to the boulevard–a cleaner version of Manila bay. This stretch of breakwater is where locals do their morning walks or late afternoon stroll. As wonderful it is on daytime, every night, a portion of the boulevard transforms into a night market where a budding traveller must try and taste the tempura (fish tempura) while enjoying a live band on a nearby bar. 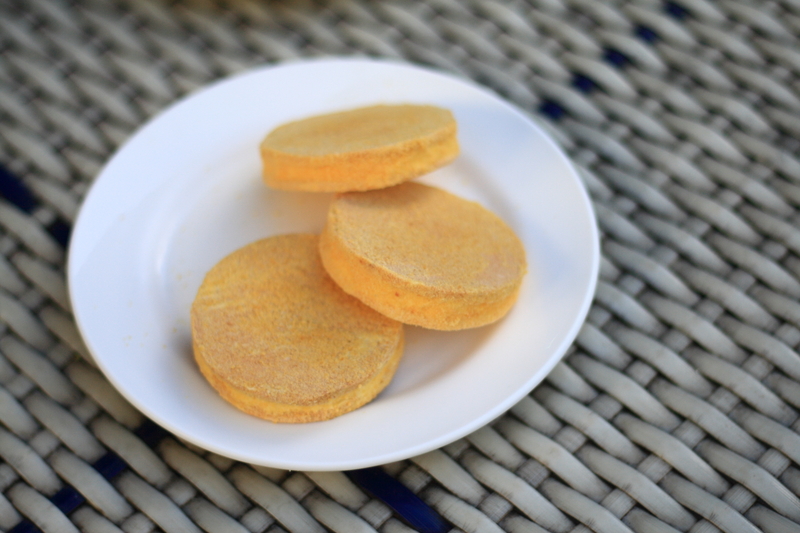 It should be a great addition to your experience of Visayan food odyssey. We, on the other hand, celebrated our anniversary in a nice restaurant along the neighborhood. Right in the heart of Dumaguete, along Siliman Avenue is where you can find a modern yet with a touch of class Resto in town. 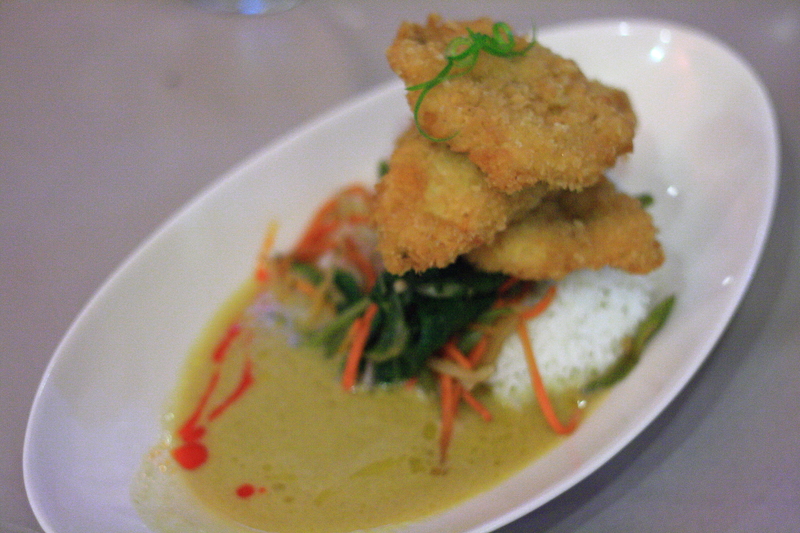 KRI serves just about anything from Thai to European cuisine, a mix of recipes with a filipino taste. Dishes can vary from just about anything, chef Ritchie likes to play with flavors by sheer culinary excellence. 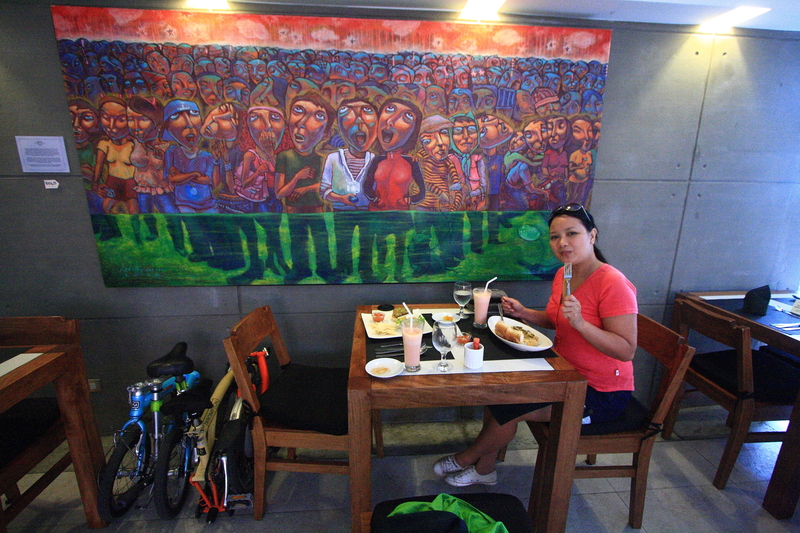 It was our first night in town and we were so eager to have our official bike dinner date, for starters we had the soup of the week (pumpkin soup) @65php. 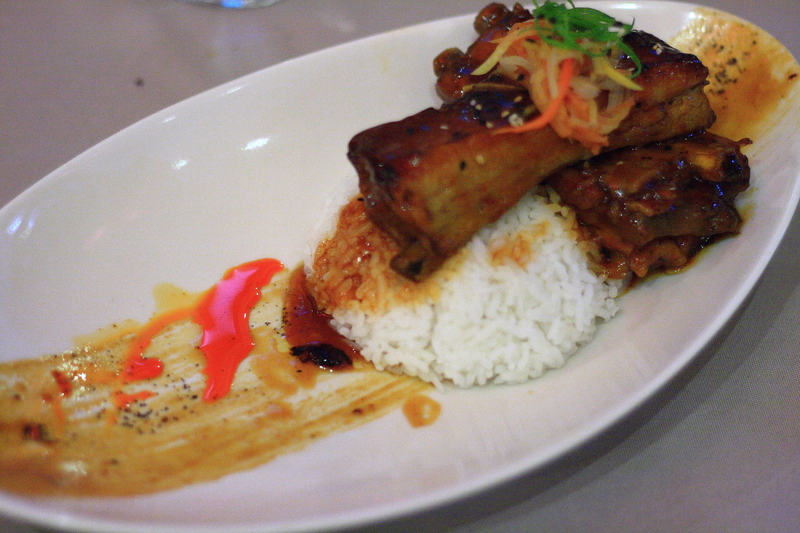 I tried the KRI Asian barbecue short ribs@180php while Ice had the Maya-maya with coconut curry butter sauce@160. KRI dished out great serving size with artistic plating. Though I’m not quite the food critic, i know one thing for sure… I like eating and I know a good food when I get to taste one. The food in KRI is worth having a try, plus the resident restaurateur chef Ritchie is always there to cook you one of the best dishes in Dumaguete. We even decided to comeback on our last day in town to try out their 100% beef burgers, I heard i’ts one of the best in town. 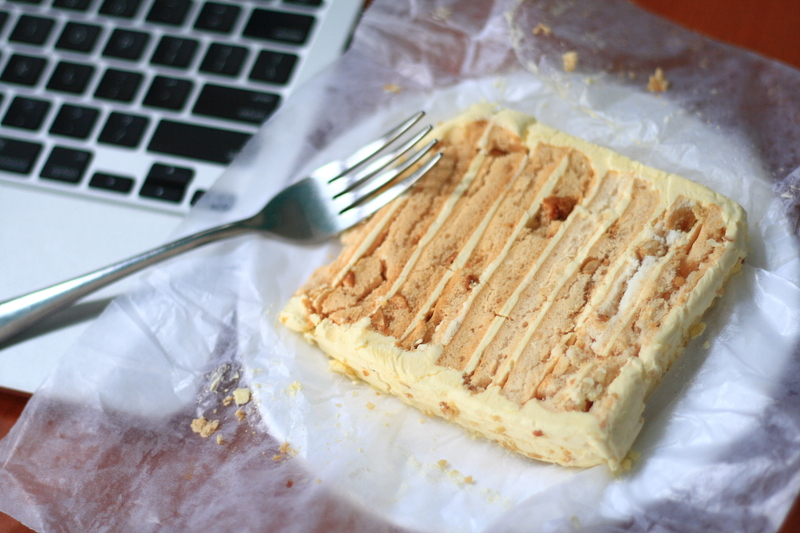 One of the best things to do in Dumaguete is to try out a whole array of restaurant in town and after having been riding for two long days around the island of Siquijor, blogpost can be found here, we had an appetite for another best tasting food in town–Jutz Caffe. 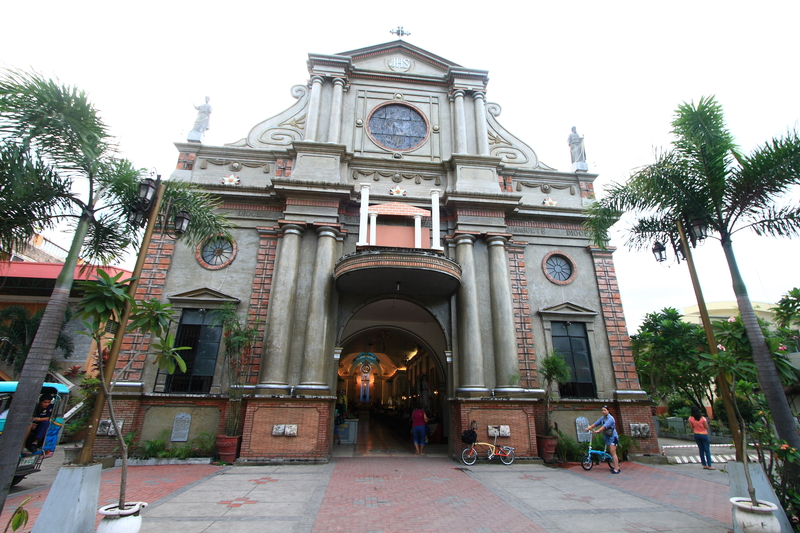 It is located along Santa Catalina corner Noblefranca Streets. 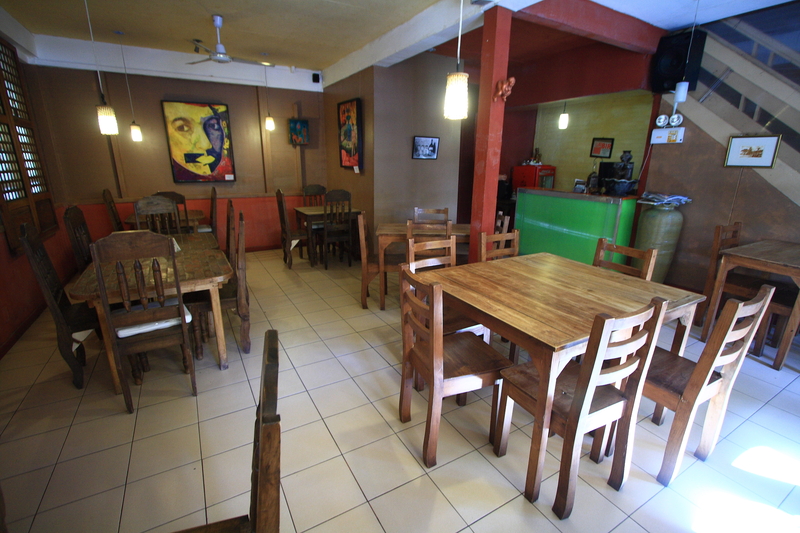 This time the restaurant offers nice ambiance and delicious food at an affordable price. 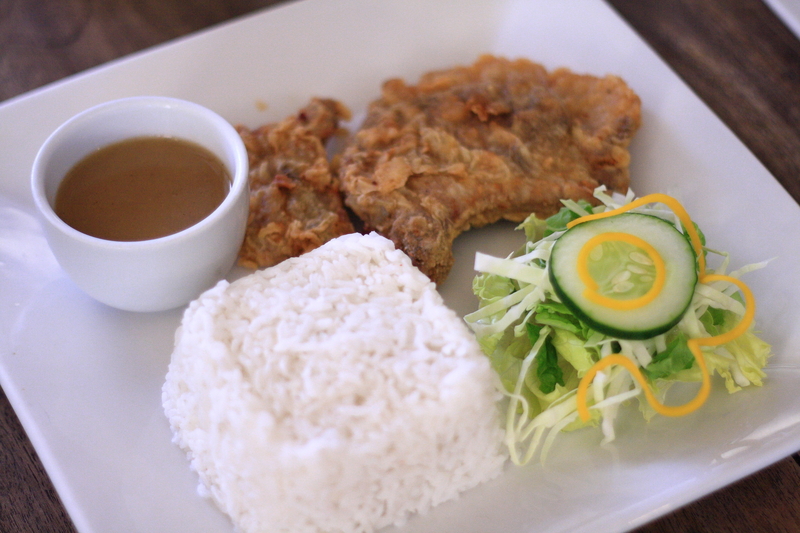 We just came in from a gut wrenching fast craft ride from Siquijor so we decided to have a nice Chicken cordon blue @153php and Golden pork chop @98php and to top it all off, we had watermelon shake@68php as refreshment. 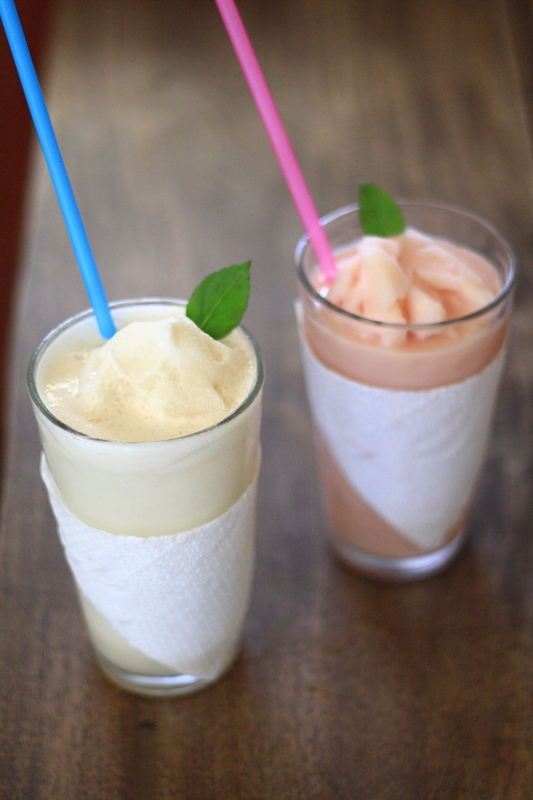 Overall the food was great and we loved the watermelon shake. 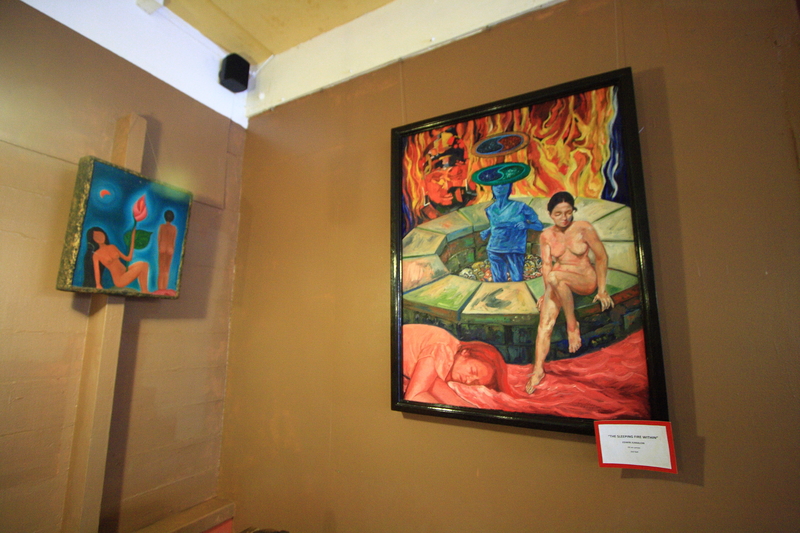 Another thing we notice in the place was the presence of artwork all over. From paintings to wall fixtures and even those nice driftwood furnitures, one who appreciates art would sure enjoy their stay while having a pleasant coffee drink or a nice dish. 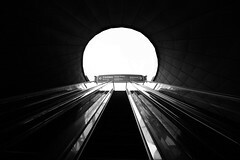 An experience one would look forward to coming back to. 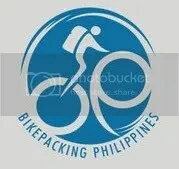 The two-day bike tour around Siquijor made me carry all our packs in our little bikes lugging it from point a to point b. 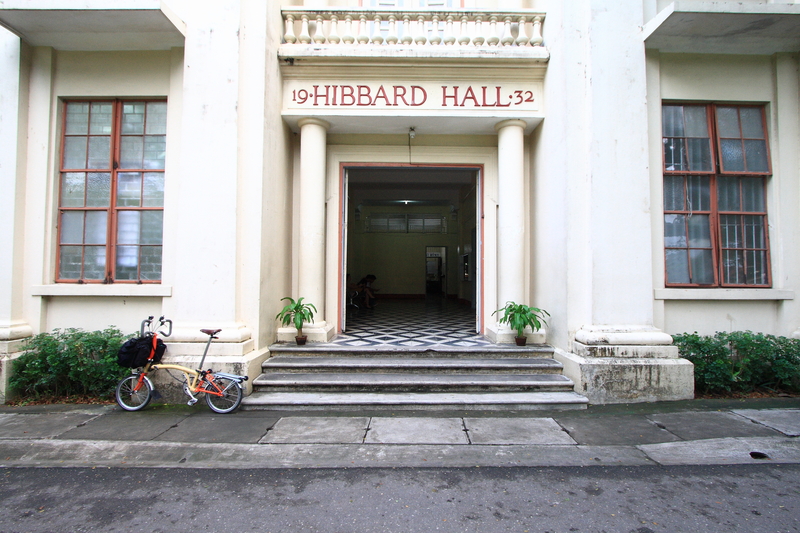 We could have left it at Harold’s Mansion where we stayed on our first night in Dumaguete but it would be impractical to pay for a room just for us to leave our things behind while going on island hopping. So here we are, with a full loaded Brompton bike going around for a nice place to stay. Not long till we saw Il Desefa Suite Inn just a few meters away from Harold’s mansion along Hibbard road. 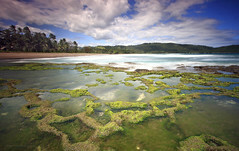 We were pleasantly surprise to know that they offer nice rooms at affordable price. Harold’s Mansion was nice but Il Desefa had newer and cleaner rooms. 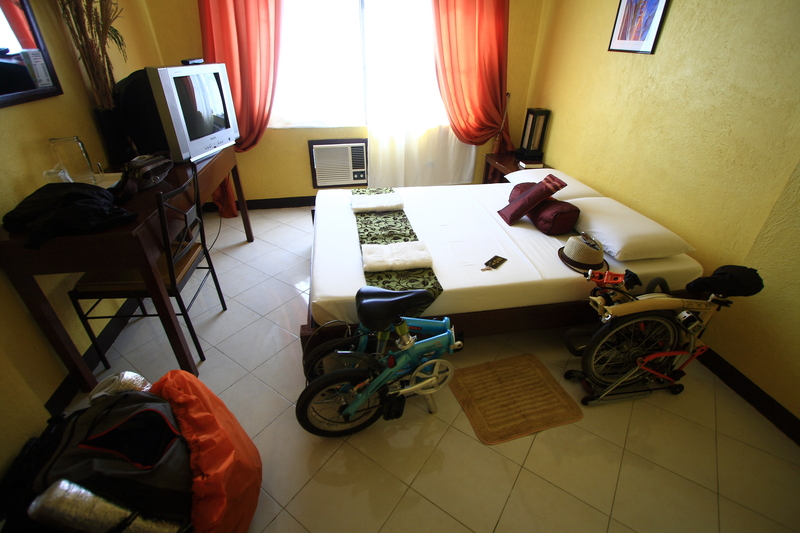 So we got ourselves a nice room fully air conditioned, fully furnished and complete with cable tv and hot/cold shower@750php. Just right around the corner of our hotel, exactly along Hibbard Road corner Amigo St. is where Neva’s Pizza is located. It is a pizza house that offers kuripot pizza version with cheddar cheese and it is famous among students from Siliman University. 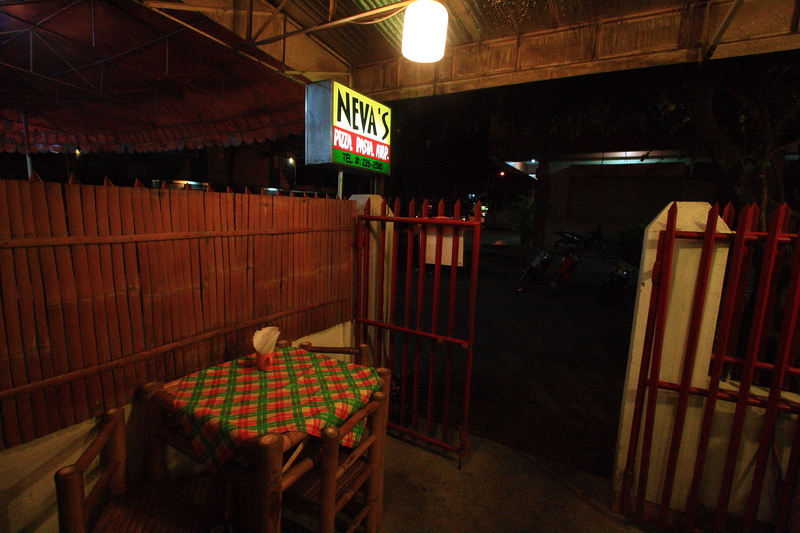 Neva’s make excellent pizza from pugon(kiln) with generous toppings at price where you don’t need a fat wallet. 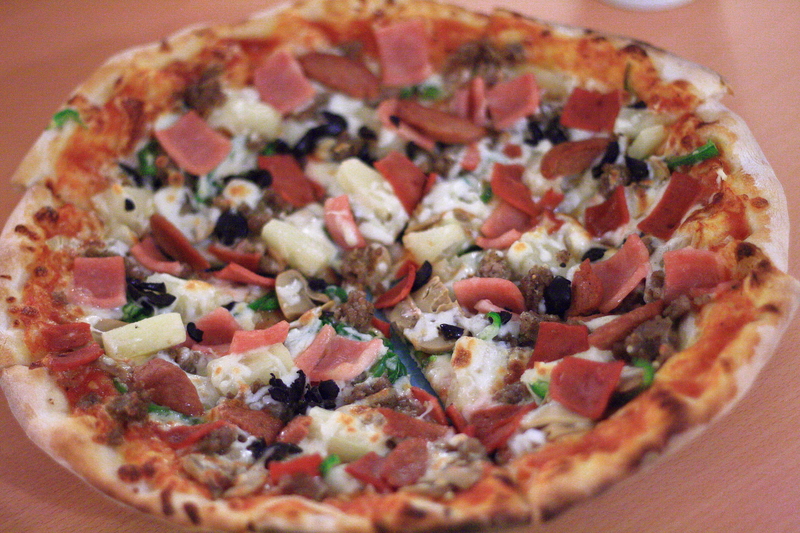 We had the special version topped with Mozzarella and a whole array of toppings. We indeed had a filling dinner and had a nice walk back to our hotel. 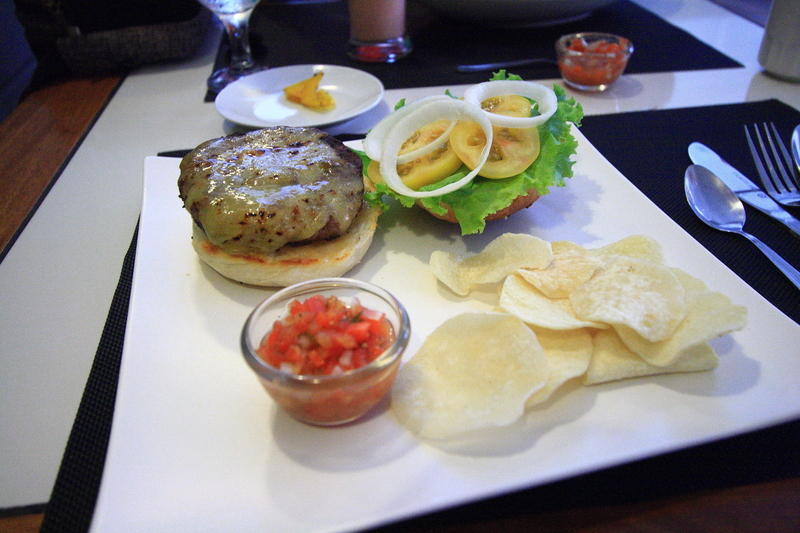 Just as promised, we went back to KRI and tasted their KRI burger@175 and KRI steak sandwich@180 for lunch. We were not disappointed. KRI’s juicy beef burger takes me back to my childhood memories where we used to order American Burgers at Kalsangi Resort in Polomolok, South Cotabato. 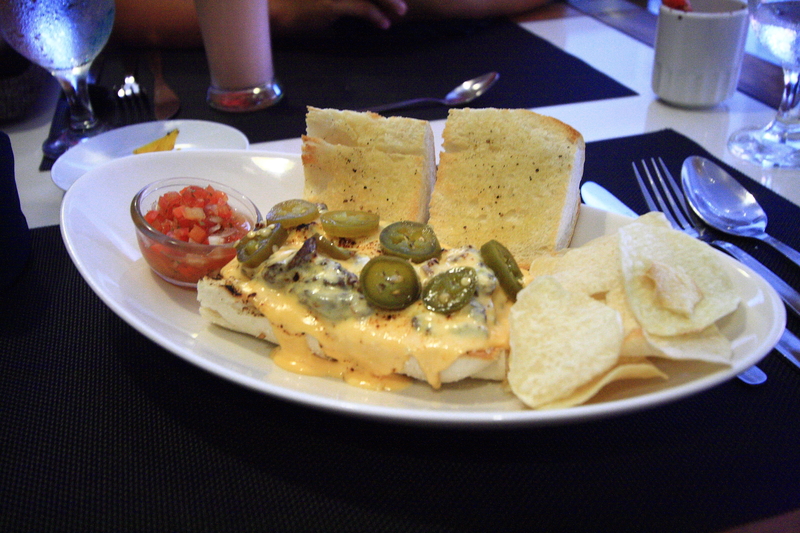 The KRI steak sandwich was not bad either, in fact, i ended up eating more of the steak sandwich than Ice did. Just before we head back to Dumaguete Airport for Ice’s flight back to Manila, we had a short stop at Sans Rival to buy a box of silvanas for the folks back home. A short ride from our hotel to the airport only took us about 20minutes of cycle time and Ice had to check-in early for her 4pm flight. Thereafter, I had to ride back to town and catch the 3pm trip of the Oceanjet Fast craft(http://oceanjet.net/). 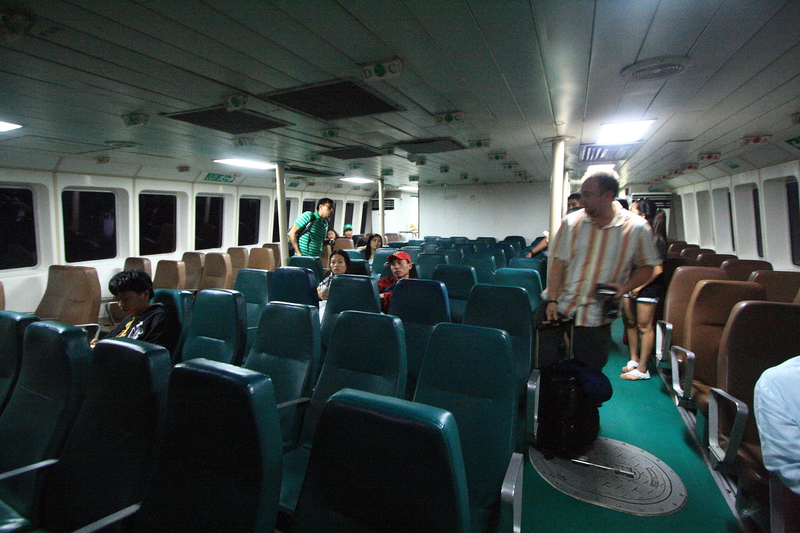 Enroute to Cebu while having a short stopover at Tagbilaran, by the time i got to Cebu pier 1, it was already 8pm and it was raining really hard. So i had to ride wet towards Mactan Island passing through the old Osmena bridge and touchdown at Cebu’s International Airport around 10pm. 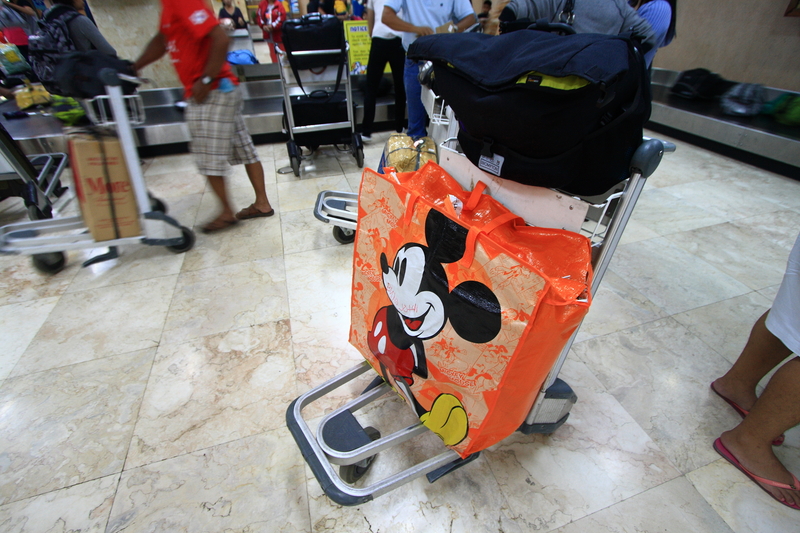 I slept through till morning and hopped on the early flight back to Davao. The best talaga ang Dumaguete. Thanks for the sharing the experience John. joel, i did not know you were from siliman. there is a common trait from SU students that they are so in touch with their creative side. probably from the learning environment in dumaguete that allows creativity to flow in. so that would also be the reason why you took arki.. wouldn’t you think? hehe , the recent events that struck negros was really shocking and my prayers goes out to those who are affected, God bless them..